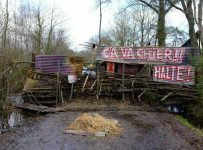 Read (again) the last bulletin (with news on who we are and evaluations of the last RTF camp). Find it here. First of all thanks that you have registered, if you know about friends that haven’t done so yet, please urge them, thanks! The first day (Thursday 8), we’ll have dinner at 7pm, like the other days. Afterwards we’ll take a time to introduce how we -as preparation group- propose to work during the assembly (in terms of facilitation, group agreements, timing, translation, …). After that we’ll start introducing stars (collectives, struggles, … ) of the RtF constellation. 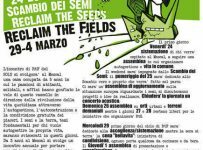 A proposal of the meeting’s timetable can be found here, to have a better idea about content. 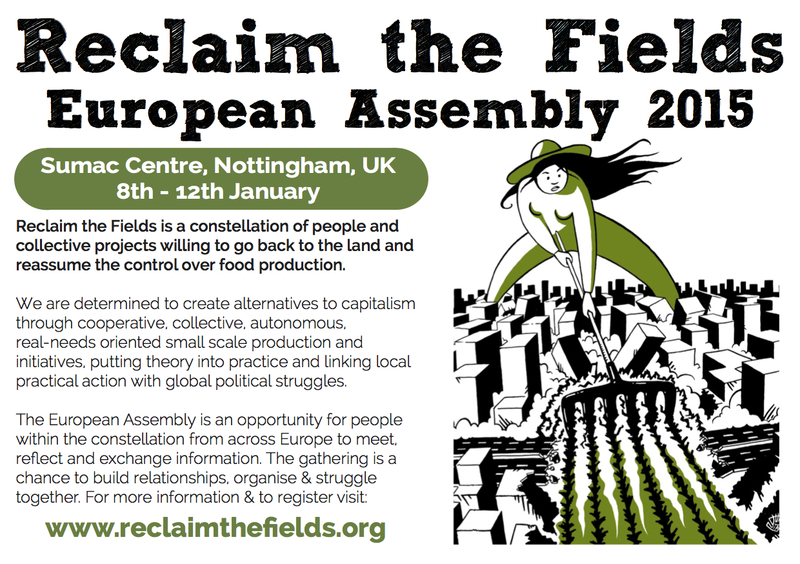 Reformism and Radicality in the food sovereignty /access to land movements. We invite you to prepare a little bit and, for the discussion you’re interested in, to bring infos about your local context / experience. Feel free to bring food to donate to the kitchen collective Veggies. If you have any special dietary requirements (besides being Vegan), please let us know. There is internet access. For helping us to type notes and so on, it could come handy if you bring a laptop. 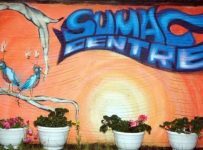 The Sumac Centre has a level access entrance at 73 Beech Avenue (behind the centre). There is a disabled access toilet. We are able to allocate you in a ‘child-friendly’ house if that would better fit your needs. As you read or not, we will be able to reimburse travel costs if you need them, this will be done in cash during the gathering. We are suggesting a donation of £5 per day for all your meals & drinks. The cost will be spread on a collective basis anonymously, if this amount is not possible for you.